Pavers Driveways VA has been constructing flagstone walkways for over 25 years. Transforming boring yards in Northern VA to beautiful outdoor spaces in Fairfax County, Loudoun County, Reston, Great Falls, McLean, McLean, Tyson’s Corner, and Arlington. We offer various styles and sizes of flagstone ranging from square-cut flagstone to irregular shaped flagstone. 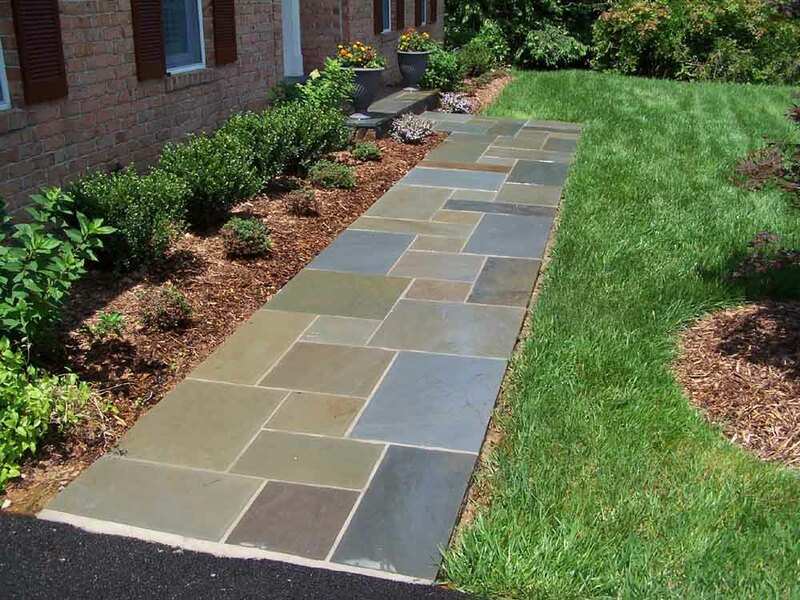 A flagstone walkway is the perfect addition for any yard. 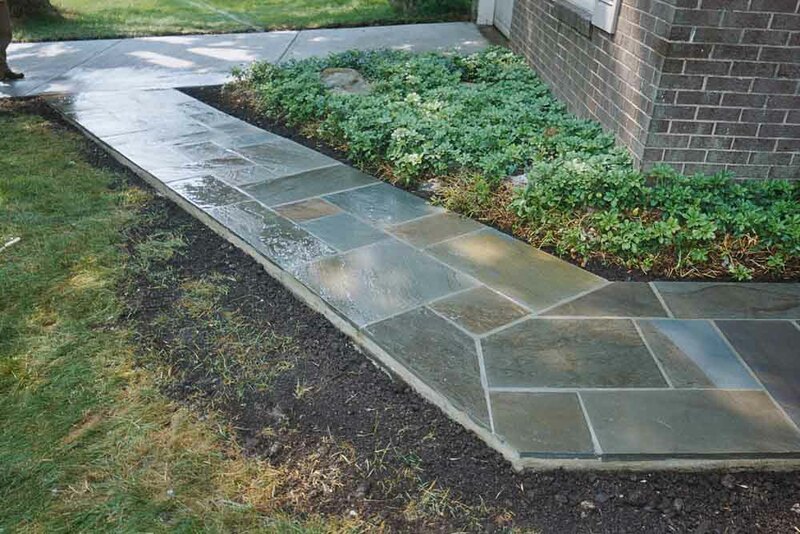 Flagstone walkways are natural looking and long lasting. Pavers Driveways VA will install a flgagstone walkway that you can enjoy for years to come. Constructing your walkway out of flagstone allows for a wide range of both design choices and color options. When using flagstone to build your outdoor walkway you may choose from different shades and sizes of flagstone. Pavers Driveways VA most popular flagstone options include Pennsylvania flagstone, Vermont slate, Travertine, bluestone, limestone, slate, quartz, Tennessee limestone, and sandstone. Flagstone can be dry laid on a sad bed or set in mortar on a concrete base. We offer various walkway options including but not limited to flagstone walkways, brick walkways, concrete walkways, and paver walkways. We select quality flagstone, brick, concrete, and pavers for our clients.